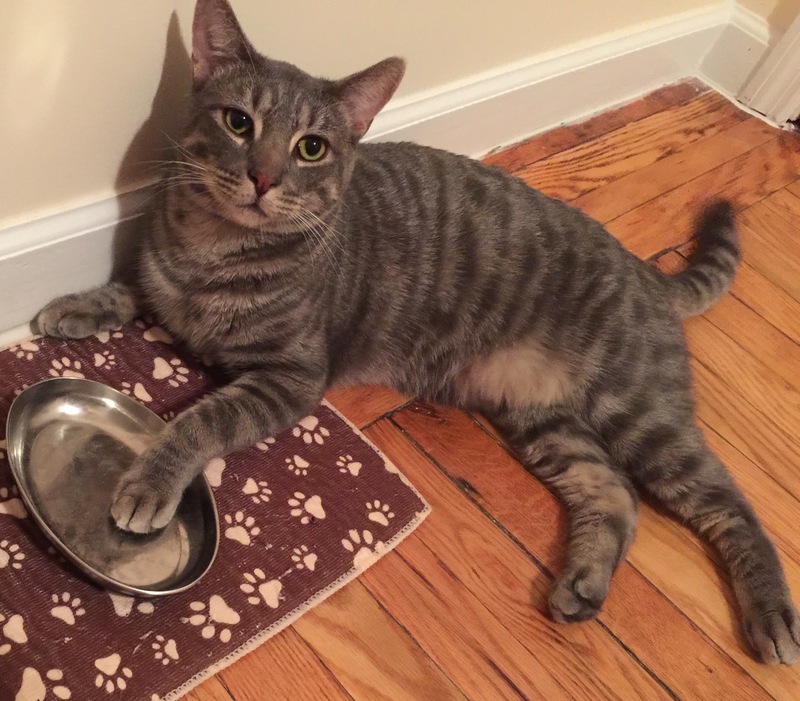 What began as a fun experiment with our adopted cat Sterling in the summer of July ’15 became an insightful research into the cat food industry and a website we created including the preferences of our cat for pet food brands on the market today. Pursuing to find out what Sterling’s favorite foods were, we bought half a dozen different dry and wet foods. We wanted only the very best and healthiest products on the market for our cat, so we expected to pay more. 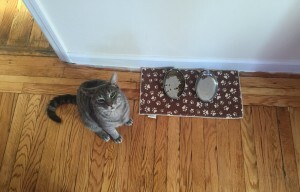 Our experiment was not a thrifty one by no means; we’ve investigated that cat food prices varied from $1 to $13/pound containing chicken meat which is actually MORE expensive than that used for human consumption. Meanwhile, on the market today, a whole generic store-brand chicken typically costs around $1.50/pound, $2.69/pound for organic chicken meat at Trader Joes and $4.99/pound from the online grocer, Fresh Direct. 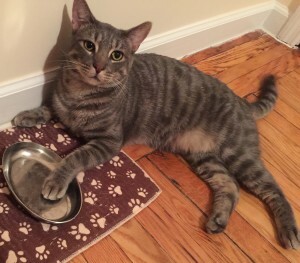 Since many expensive food brands on the market come in packaging of different sizes, it seemed wasteful at times and disheartening when Sterling didn’t care to touch a particular dry food after we just bought him a new high-end bag of food. Luckily Petco allows returns on food when animals refuse to eat the products. In essence, on our end it was time and money spent buying and sometimes returning a bag or two of food. We also had an unhappy camper on our hands; a cat that went on hunger strike…Those were the good days….NOT! This is the idea we eventually had. My wife and I emailed many cat food brands asking for samples. Working in the Cosmetology industry, this is a common practice emailing a makeup or hair care company to test their samples. This was the best and simplest solution we could think of that could easily minimize the time we as consumers spent researching products on the market and going to the store to eventually find out at home that the cat really detested a certain product. 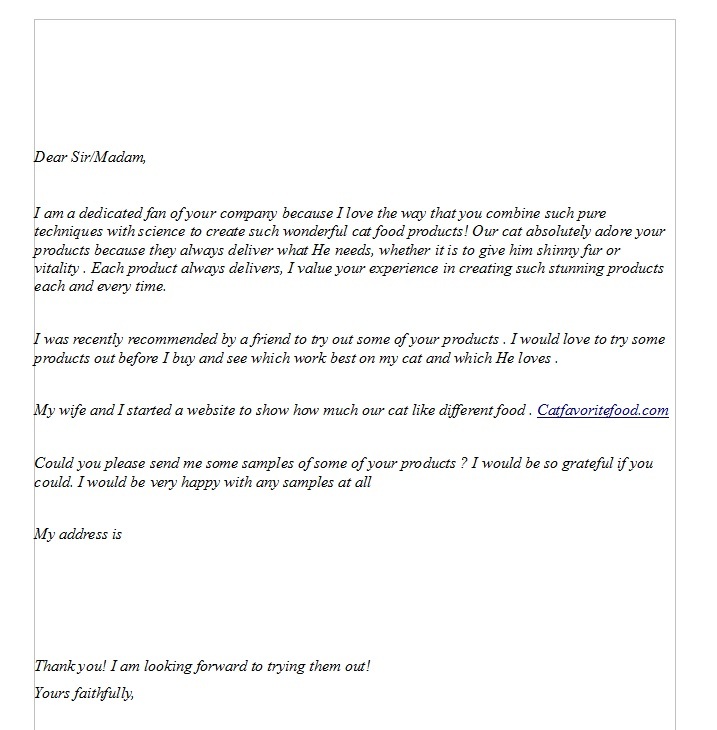 So, I rushed to my keyboard, collected names of 25 cat food brands and emailed them a nice letter to see which companies were willing to offer me samples to be reviewed by our cat on our website. Evopet, Orijen, Newmansownorganics, Tasteofthewildpetfood, Halopets, Petcurean, Acana, Frommfamily, Nutrience, Whiskas, Hillspet, Bigheartpet, Eukanu, Merrickpetcare, Naturesvariety, Castorpolluxpet, Musecatfood, Nutro, Bluebuffalo, Royalcanin, Iamsmarketing, Nulo, Sheba, Thehonestkitchen. We were surprised by the exact same bulk answer from different brands. So, we did our research and found out that all these familiar brands were owned by few large corporations as shown below. Brands that barely read my email/ OR did not answer and denied a sample anyway: the [Mars, Nestle and Big Heart Pet Brands] Corporations, Champion petfood, Merrick, and plenty others….. Overall, I would like to give an extra thanks to the The honest kitchen, Nature’s Variety, Halo and Nulo for providing the best customer service. This experiment proved that there’s very few pet food brands out there that actually care about the customer’s and pet’s needs. To me, it’s very revealing when a company doesn’t bother to acknowledge a potential customer, one that will eventually review the brand and buy their products in the future.